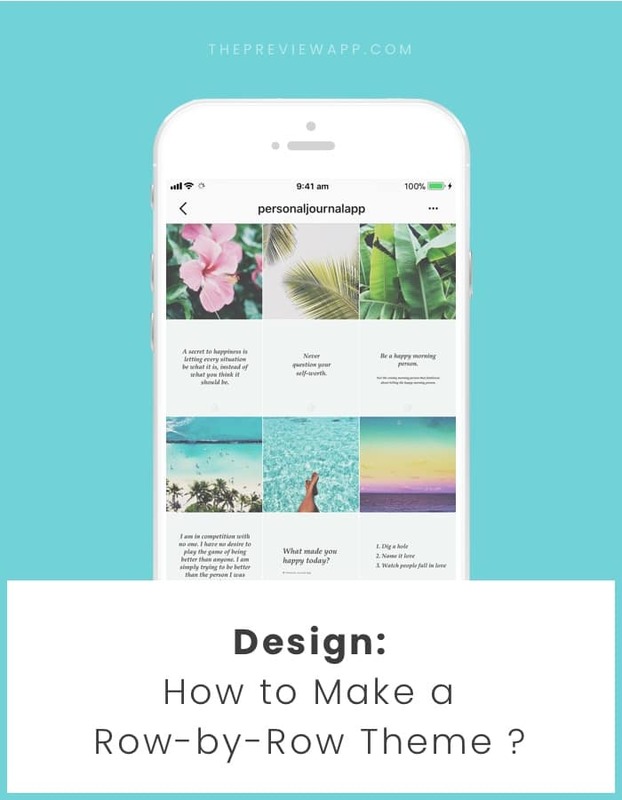 We’ve been sharing tutorials about each of the Instagram Feed Layouts you can design. Time now to talk about the “row by row” Instagram feed layout. One row = one topic. How to do it using Preview app? First step. You need to know what you’re going to post about. One row = 3 photos. So you need to have enough photos for one row. You can show anything you want per row. 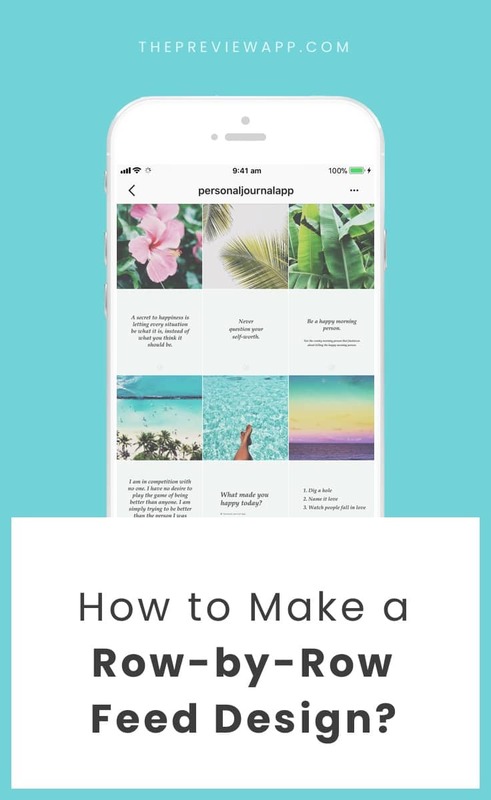 For this tutorial, I’m going to show you rows with photos and quotes. Use the same steps for your row designs. Your posts might not be in a perfect row by row layout yet. So you can rearrange the order of your posts to make your layout. You can drag and drop photos around, or you can swap photos. You can also edit your photos, prepare your captions and find hashtags. See this tutorial to see all the features. Note: Preview will allow automatic posting on Instagram soon. After you’ve posted a photo, you will notice that your rows will shift to the right on Instagram. This is normal. Every time you will post a new image it will shift your entire feed. That’s how Instagram works. So how can you keep perfect rows looking n Instagram? If you post one photo, post the other 2 photos as well. It might overwhelm your followers with new posts all at once. But hey! At least you and your followers will always see the row layout. A lot of people doing this theme don’t post 3 photos straight away. And that’s ok.
You can post one photo in the morning, one during lunch time and one in the evening. This way you will always have a full row at the end of the day. Plus, by doing that, you are also reaching a lot more people on Instagram (I’m assuming your hashtag game is strong). Just post one photo per day. Your rows will align when the time comes. That’s it! I hope this blog post was helpful. Let me know if you have any questions.